Many people in the Sarasota, Florida area know Warren McGregor as the Broker/Owner at Help-U-Sell Gulf Coast Properties, offering full service real estate services for a low set fee and saving home sellers lots of money. “It’s all about empowering consumers with information and choices. It’s a powerful draw that is successful when people learn about it,” Warren explained. 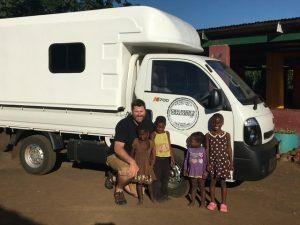 For the last 19 years, Warren McGregor, who is originally from South Africa, has been on a different sort of mission that empowers those that are less fortunate. 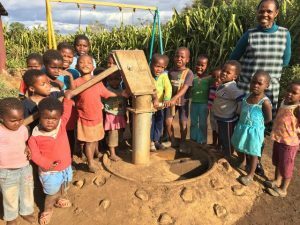 Humanitarian efforts have brought him to places such as Haiti, Kenya, India, Malawi and Swaziland, all with the goal of improving the lives of impoverished and orphaned children. 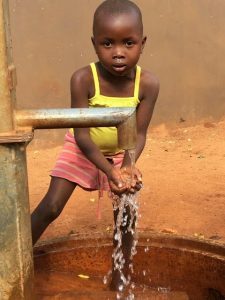 Warren founded and serves on the board of Childrens Challenge, which focuses on Clean Water, Education and Care, The scope of their work includes installing fresh water wells, feeding and caring for the children, renovating the orphanages, and providing education and overall support to the children and the staff that care for them. Children’s Challenge has assisted over 2000 children across ten orphanages and care points. Children’s Challenge has also partnered with another local company in Sarasota, PPi Technology, which has pioneered a revolutionary mosquito repellant. Children’s Challenge helps distribute this product, which will help in the fight against malaria, in those regions that are affected by this deadly disease. The current fundraising goal for the next mission is $15,600, with $3,200 currently being raised. Previous Previous post: Help-U-Sell Attending the First of Three Major Realtor Conventions … Hello Florida!